TRC, is a full services manufacturers' representative that specializes in fully automatic screen printing solutions for printed circuit boards, ceramics, fuel cell, solar, microelectronics and other applications. Technical Resources Corporation, or TRC, is a full service manufacturers’ representative that specializes in fully automatic screen printing solutions for printed circuit boards, microelectronics and other applications. Our partner, Speedprint Technology, offers very comprehensive yet cost-effective solutions for our customers. Speedprint Technology continues to offer breakthrough technologies in their printer platform, including the latest S-Track barcode label placement technology. Simplicity, quality and flexibility are at the forefront of everything they do. 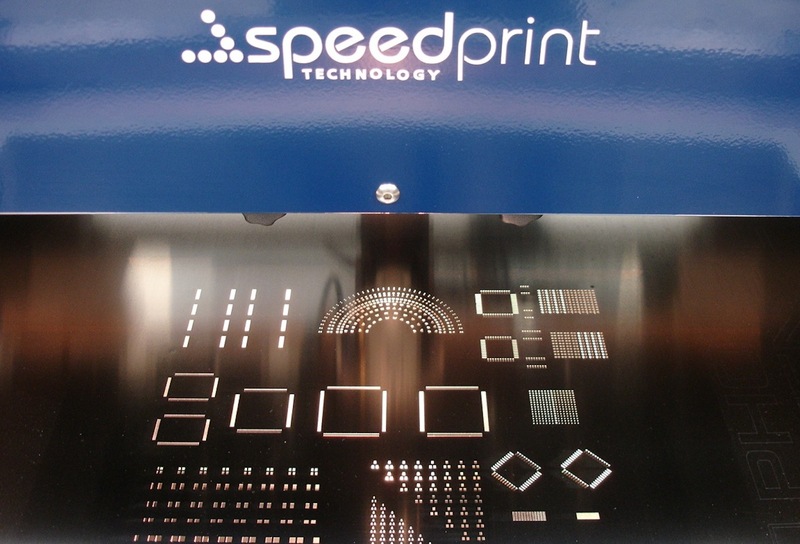 Please visit the Speedprint Technology website directly for further product information. The Advanced Dispense Unit from Speedprint goes beyond traditional screen printer dispenser options. The dual module version offers easy programming, any combination of paste or adhesive applications, and allows the capability to add the new “S-Track” label feeder. 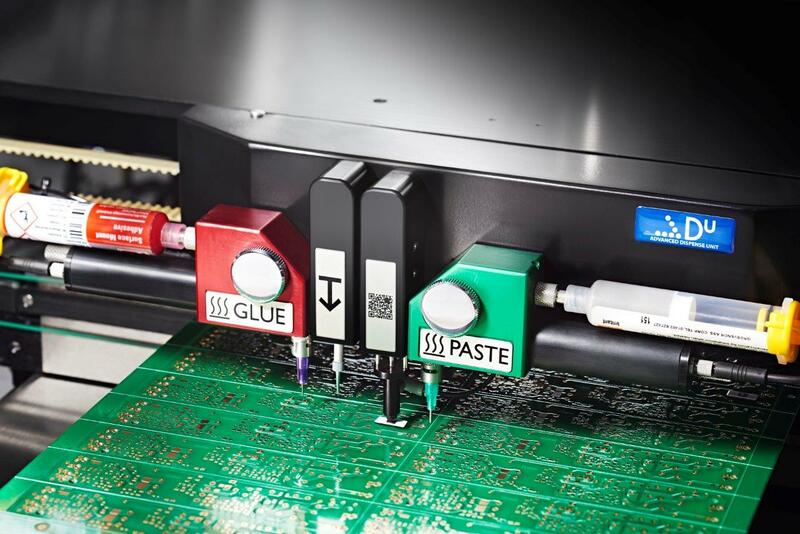 An industry unique feature, Speedprint has taken the barcode label placement technology previously offered in SMT placement machines, “and put the technology where you need it…right at the front-end of your SMT line”. 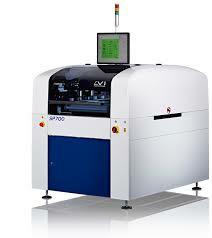 Featuring 20um accuracy @ 6 sigma, 2Cpk, 24 x 20″ standard print area, 1 um linear encoders, servo controlled. 30 sec calibration routine and backed by the industry’s only 5 year parts and 2 years labor warranty. Technical Resources Corporation also represents Universal Instruments’ pick and place machines, Kurtz Ersa selective soldering, wave soldering, reflow and rework systems, GPD Global Precision Dispensing systems, Henkel Technologies‘ solder chemistries, adhesives, conformal coating materials, FlexLink laser markers and conveyors, Takaya Flying Probe In-Circuit test systems, KIC thermal profiling systems, Koh Young 3D AOI and SPI systems, Pentagon EMS process carriers, Specialty Coating Systems Spray Coating & Dispense Systems, Aqua Klean Systems in-line cleaning systems, Nikon Metrology 3D X-Ray and CT Inspection Systems, Checksum In-Circuit and Flash Programming and LPMS USA low pressure moulding systems..